On Saturday, June 7, at 5:17pm, Middleton Police officers responded to a residence in the 7400 block of Century Avenue for a report of a female that called 911 and said someone was taking items from her residence without her permission. Upon arrival, officers were informed the ex-boyfriend of the caller had forcibly entered the victim’s apartment and had proceeded to steal numerous items. Initial investigation revealed that the suspect had forced entry to the residence and removed approximately $2,800 in personal property. Just as officers arrived, witnesses said the suspect fled in a vehicle after striking a parked car and was last seen traveling eastbound on Century Avenue. Minutes later, the Middleton Communication Center started receiving 911 calls regarding a separate two-vehicle crash on Century Avenue at Park Street with one of the drivers fleeing on foot from the crash scene. Officers located the driver that fled from the crash scene a short time later hiding in a window well at a residence in the 6900 block of Prairie Drive. It was determined that this was the same suspect that fled the scene of the burglary minutes prior and was also involved in the traffic accident. After failing to comply with officer’s verbal commands, the suspect picked up a 2-3 foot long stick and advanced towards the officers. Middleton Police officers used a Taser to subdue the suspect after the suspect failed to comply with the officers’ commands. 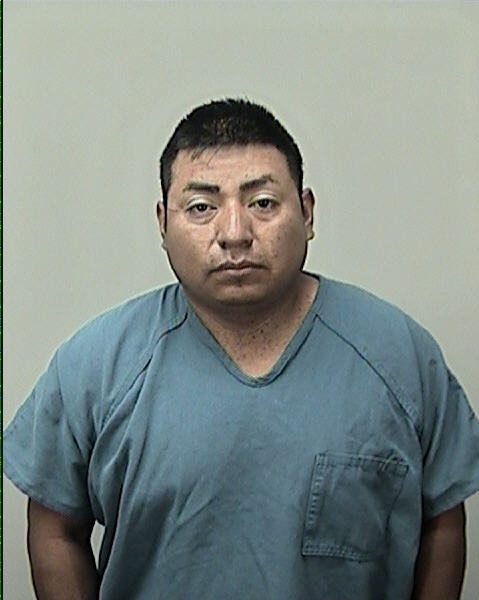 The suspect, Epifanio Perez, 34, of Middleton, was arrested and tentatively charged with Operating While Intoxicated (2nd offense), Operating After Revocation, two counts of Hit & Run, Failure to Report Accident to Police, Improper Right Turn and Resisting/Obstructing Officers. He was also arrested and jailed for Burglary and Disorderly Conduct related to the initial call.